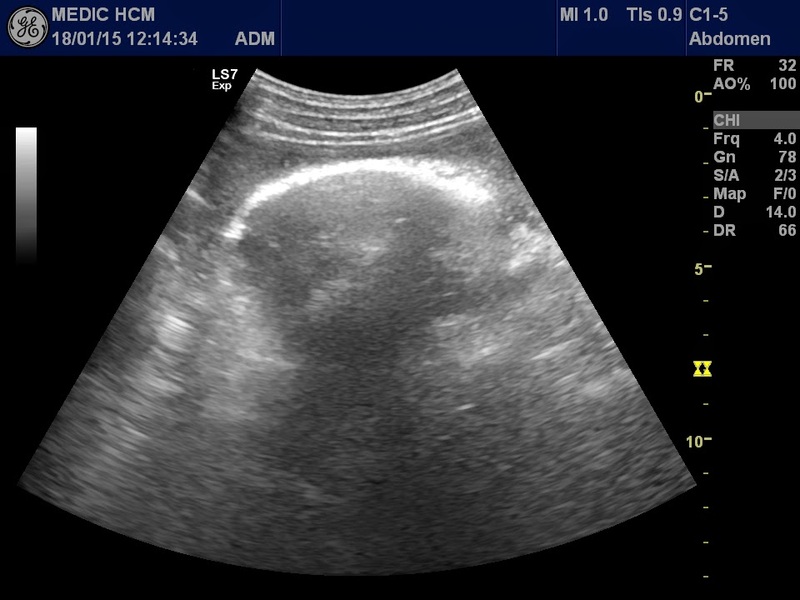 Woman 63 yo, pain at left subcostal for one month without fever. 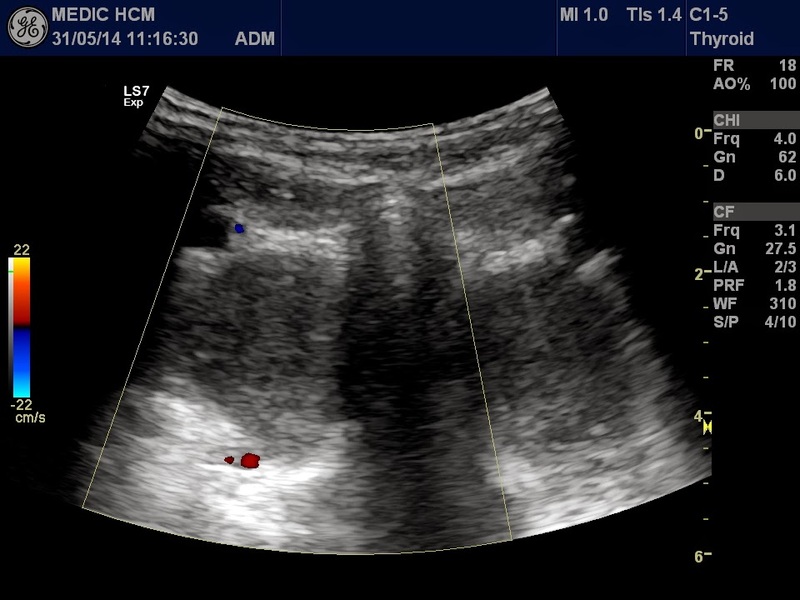 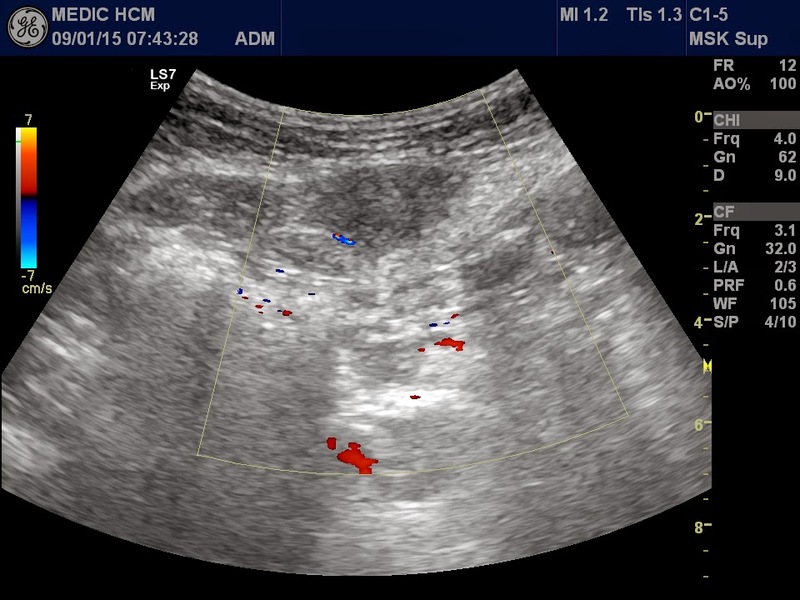 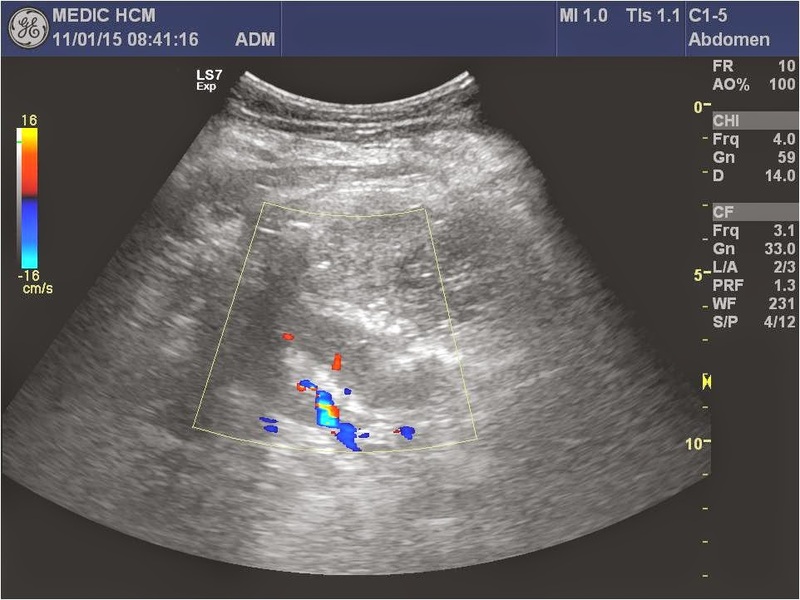 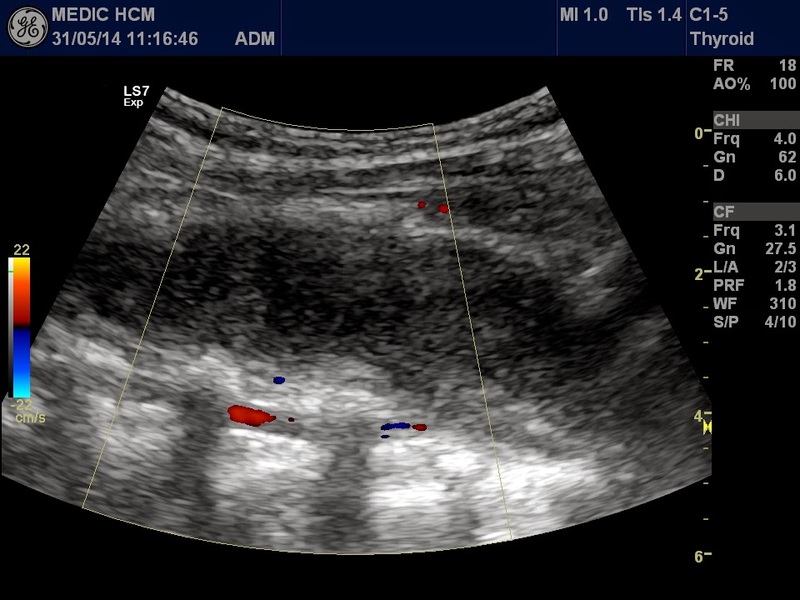 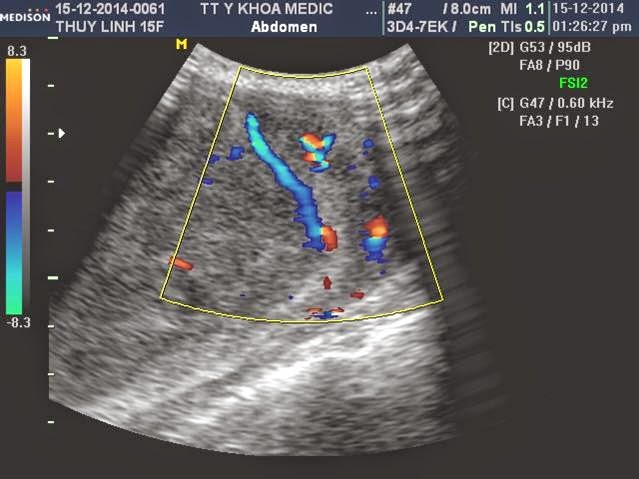 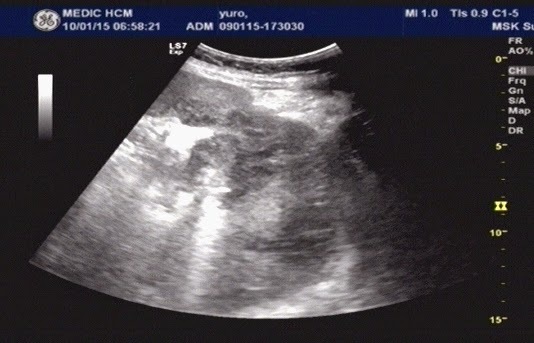 Abdomen ultrasound detected the spleen changing its surface, irregular lobular border with many hypoechoic structures intraspleen from hilus and free fluid around the spleen ( see us 1, us 2). 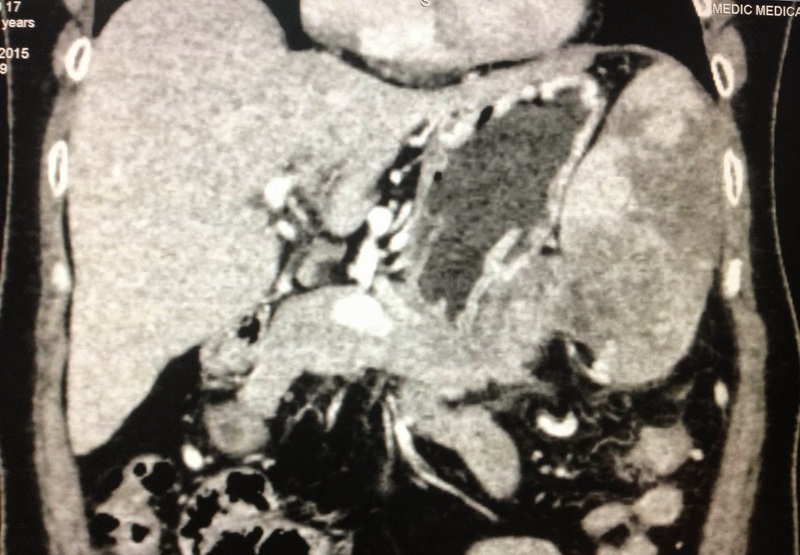 MSCT with CE found out inhomogeneous structure of spleen, with many hypodense zones, non enhancement with contrast from hilus of spleen radiated toward peripheric zones of spleen, and tail of pancreas was adherent to spleen hilus. 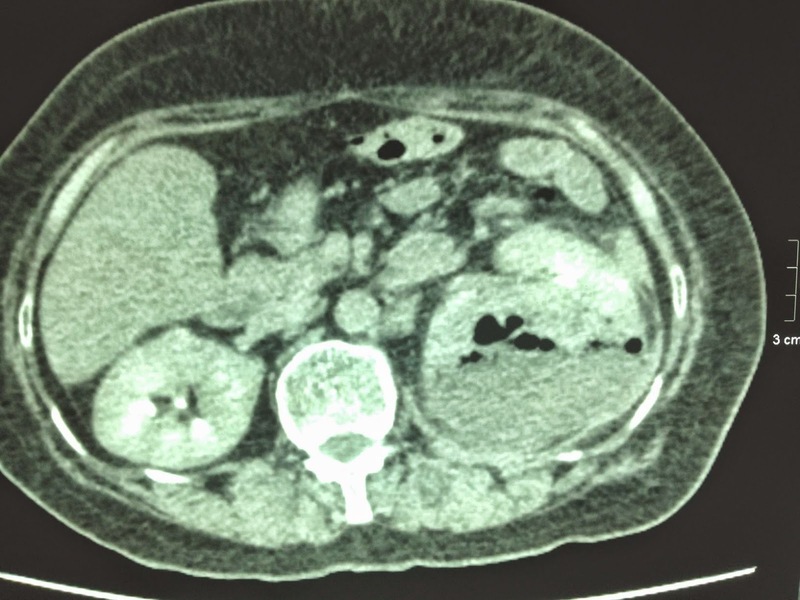 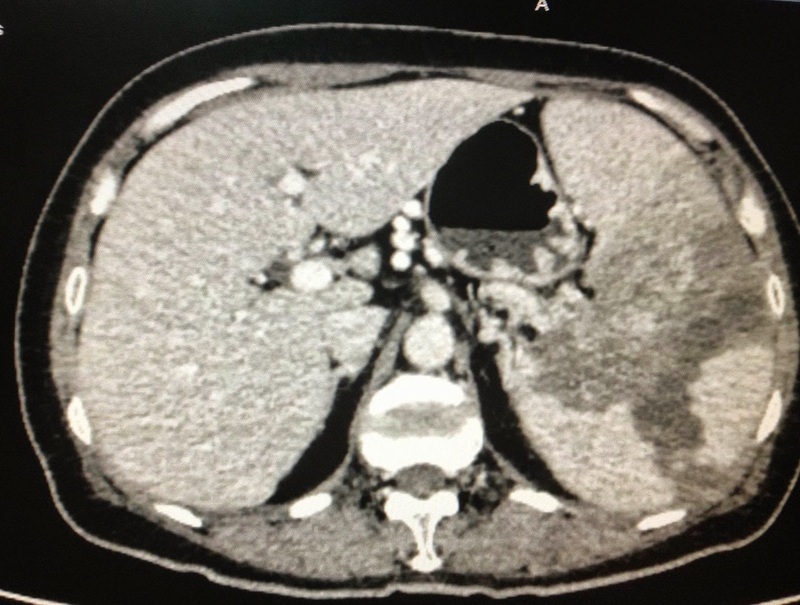 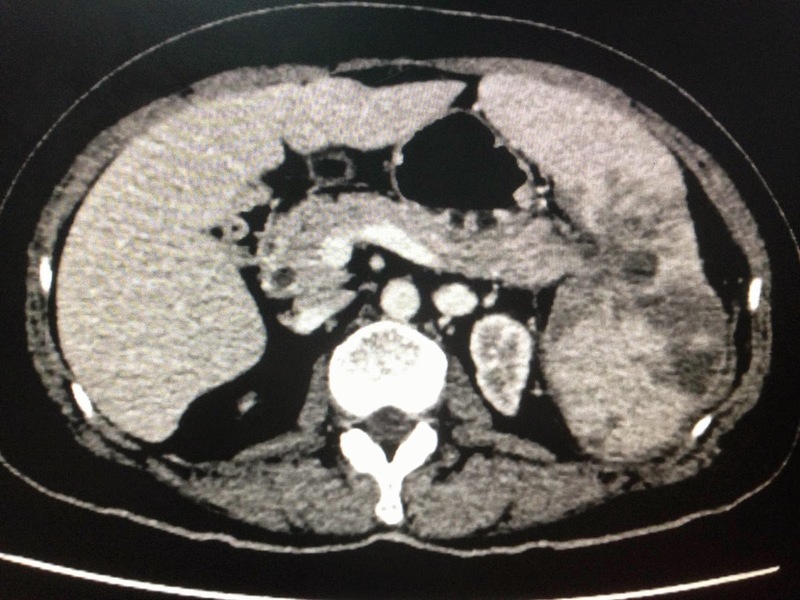 Radiologist suggested tumor of the tail of pancreas invasive to hilus of spleen ( see ct 1, 2, 3). 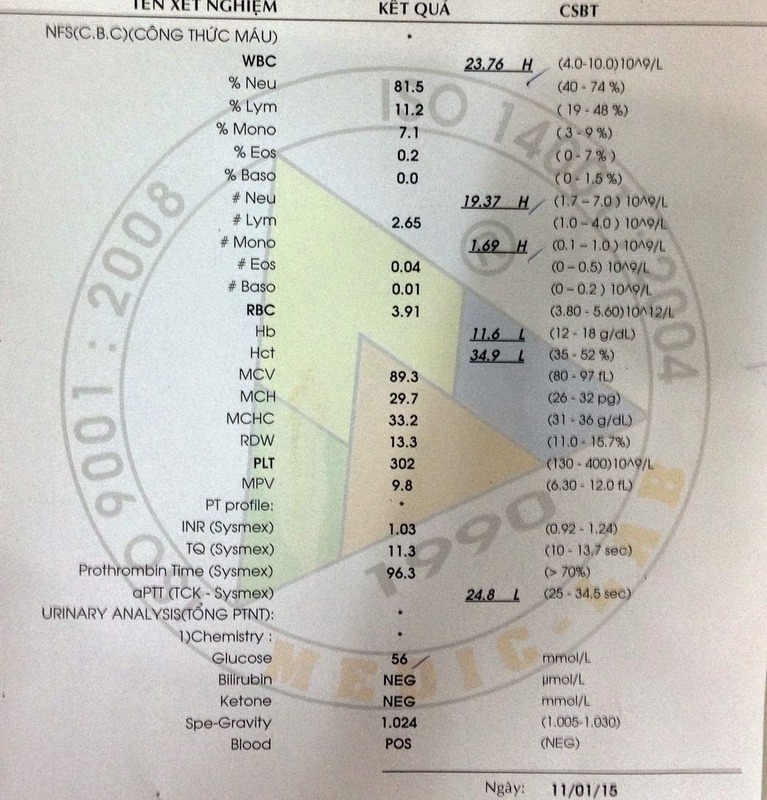 Blood tests were normal all cancer markers, and blood amylase highly elevated. 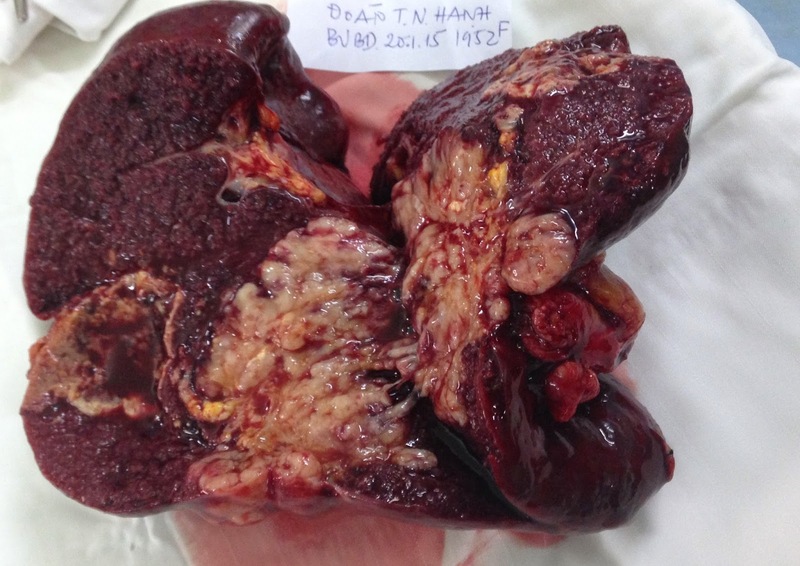 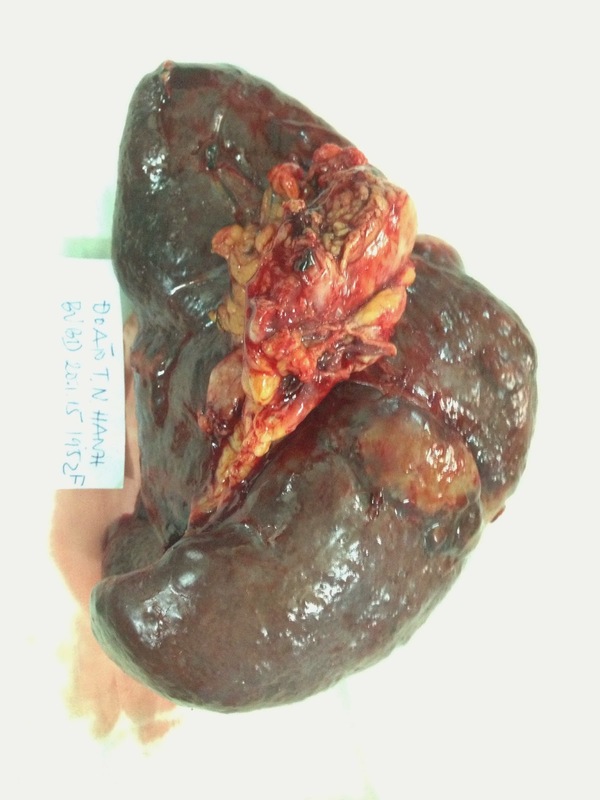 Preoperative diagnosis the case was vascular thrombosis of spleen due to inflammation of the pancreatic tail. 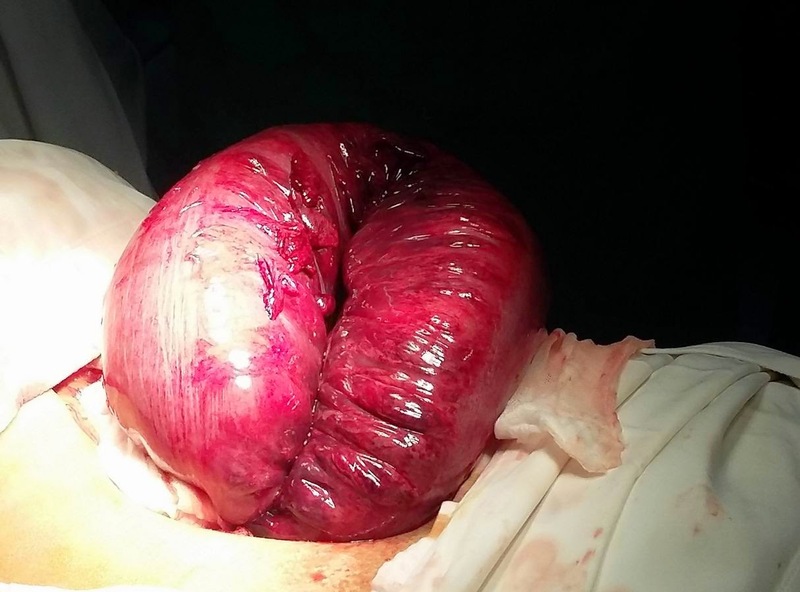 Operation for splenectomy, and removing the hilus mass of spleen ( see macro). 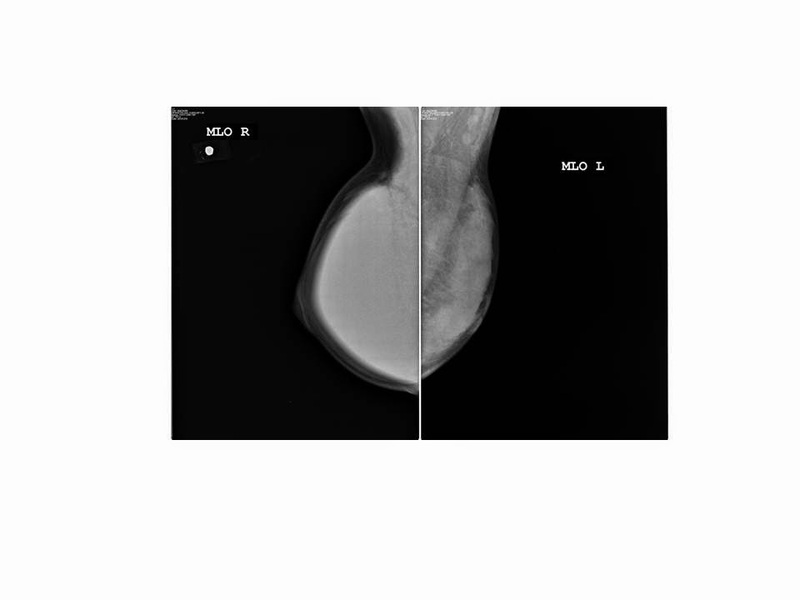 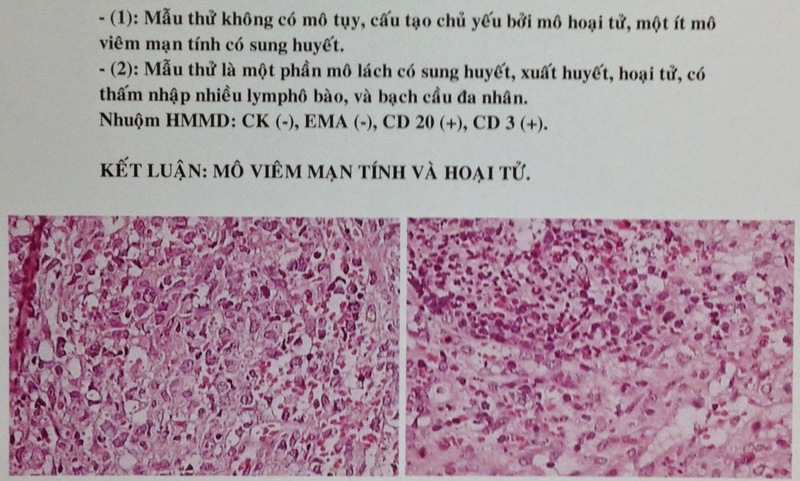 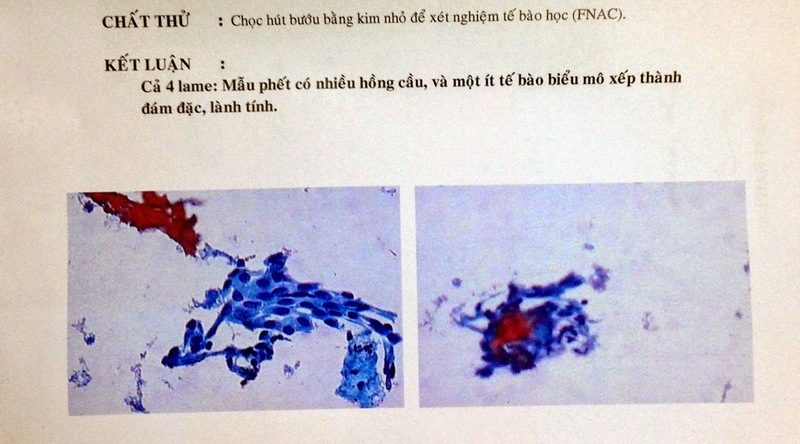 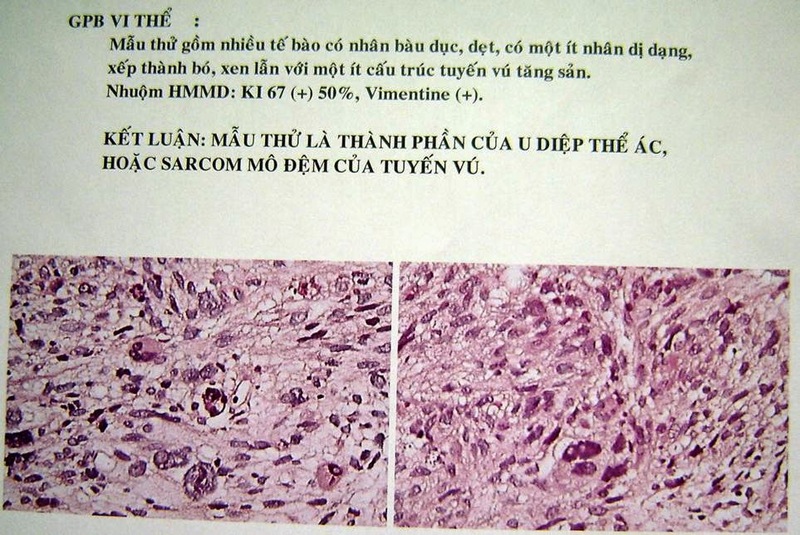 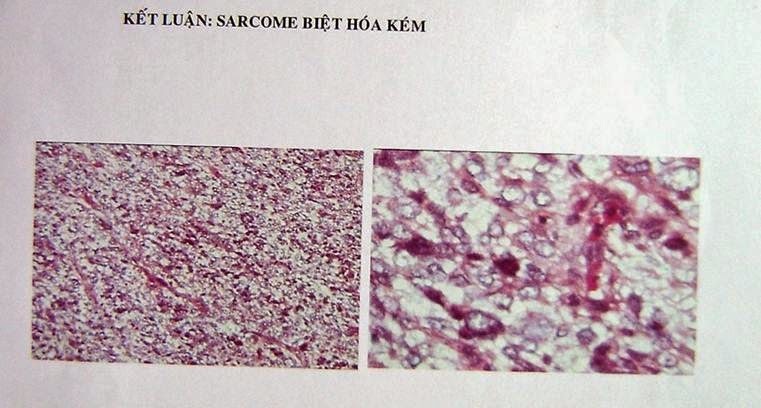 Microscopic report was chronic necrosis due to inflammation. 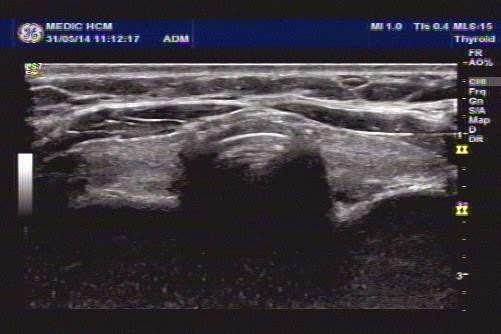 Discussion: Clinical with pain for more one month at left upper adominal area whch was KEHR' s sign. 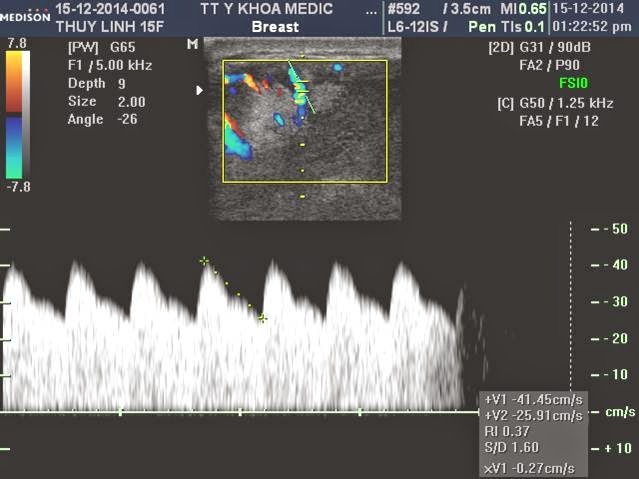 Ultrasound detected many avascular zones in spleen. 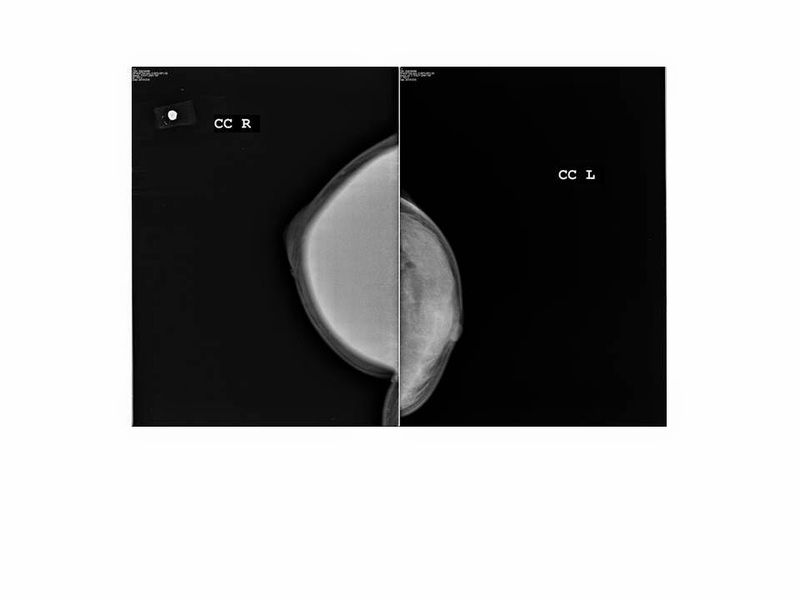 MSCT with CE find out wedge – shape. 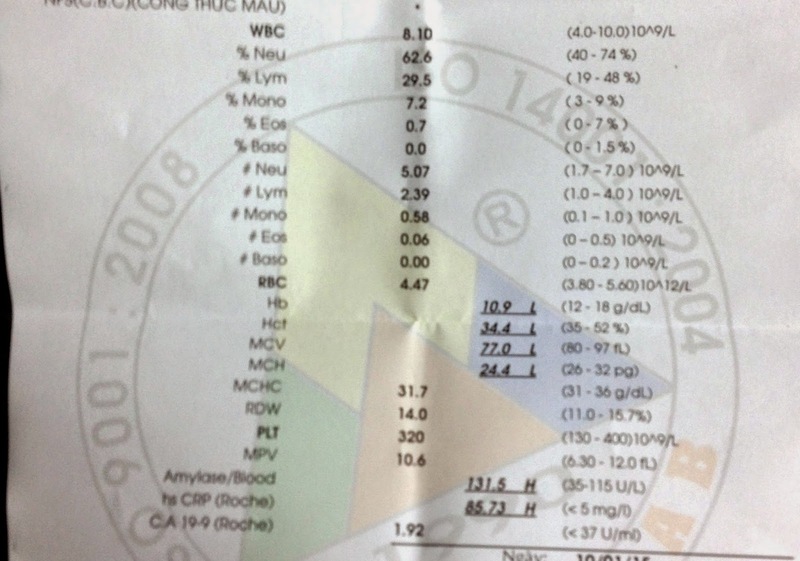 Blood test : high amylase, looked like PANCREATITIS at the tail complicated to hilus of SLPEEN INFARCTION. 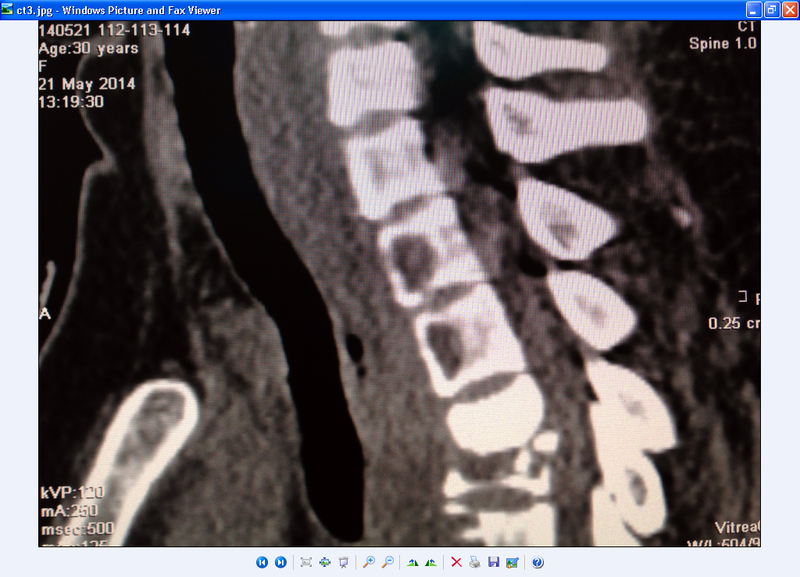 REF case report from JOP. 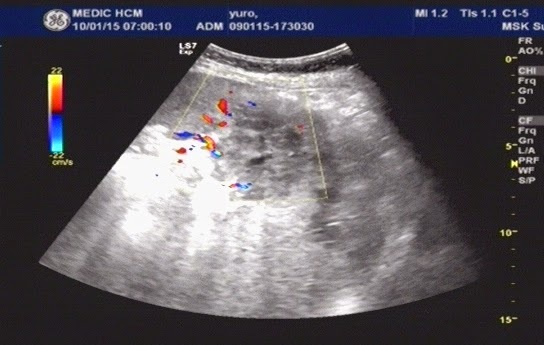 Ultrasound scanning of abdomen first detected colon distension with air and hyperperistaltism (see 2 US images). 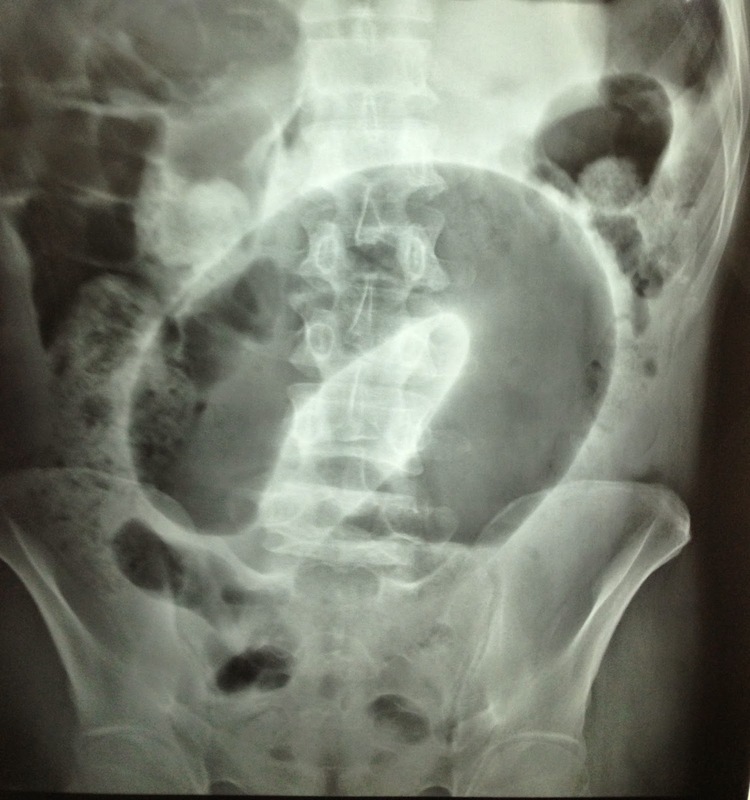 Next step, a standing X-rays of abdomen was done with the sign of C-loop, typical of sigma colon torsion (see X-rays plain film). 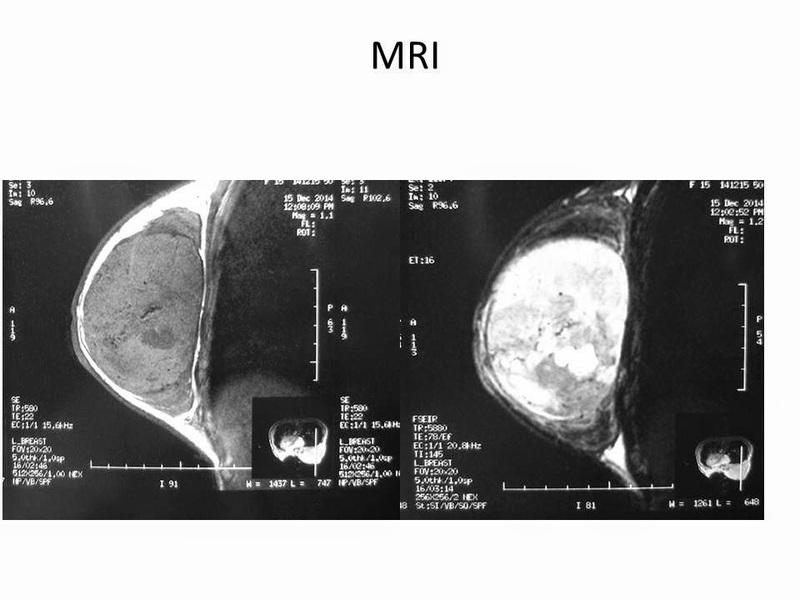 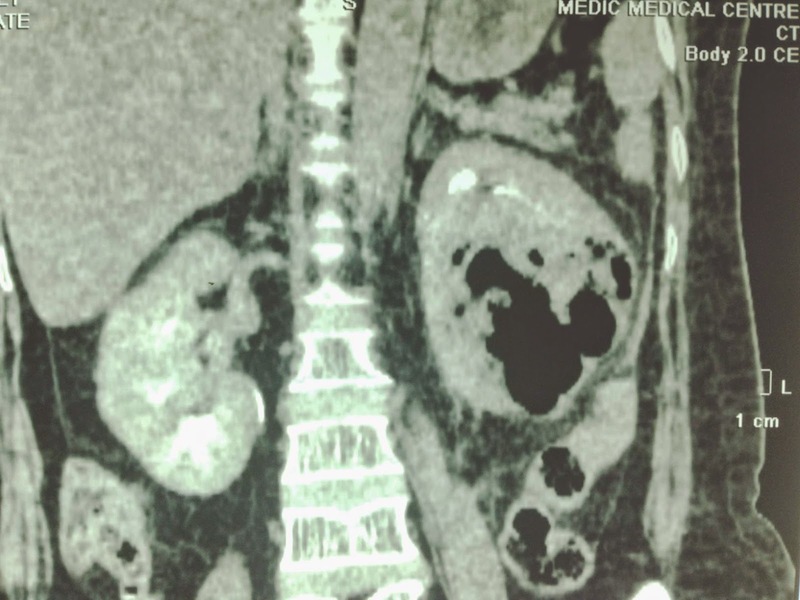 MSCT of abdomen without CE presented dilated colon with air (CT 1 double black ring of colon sigma distention, CT 2: image section of sigma colon asymmetric, CT 3: image of coffee bean, CT 4 : frontal section with mesocolon in torsion). 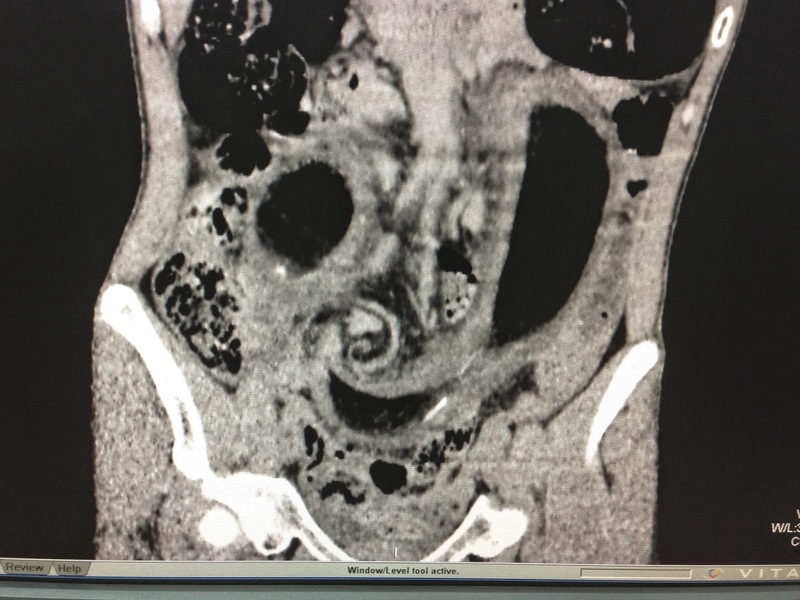 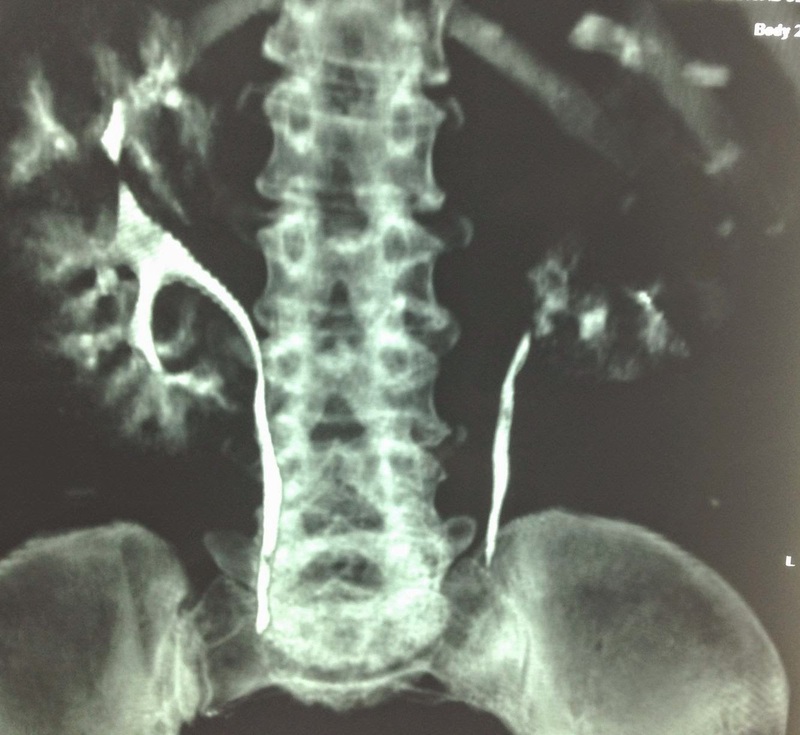 Radiologist reported volvulus of colon sigma for the case. 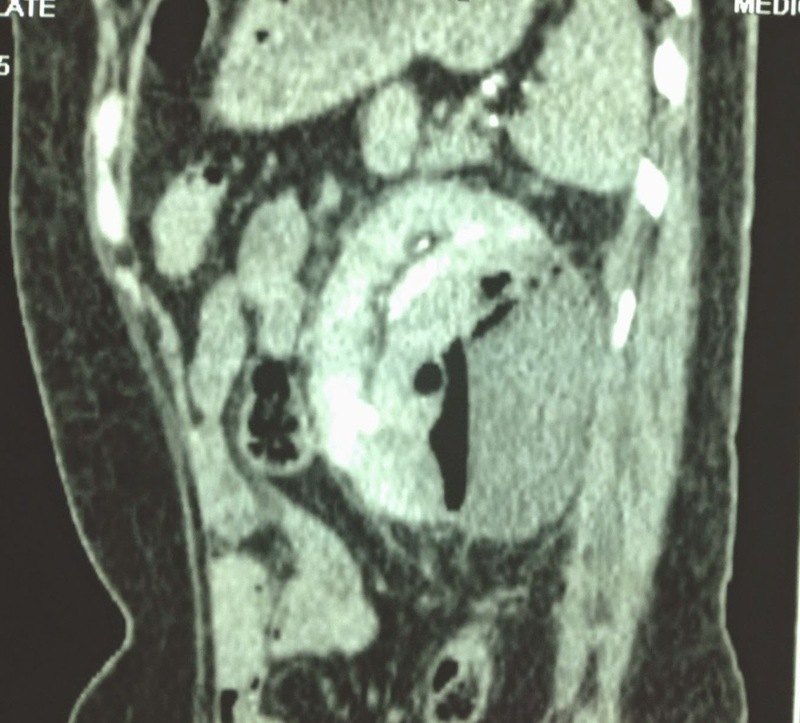 Emergency surgery detected one part of sigma colon ischemic, resection and colostomy with double canon technique. 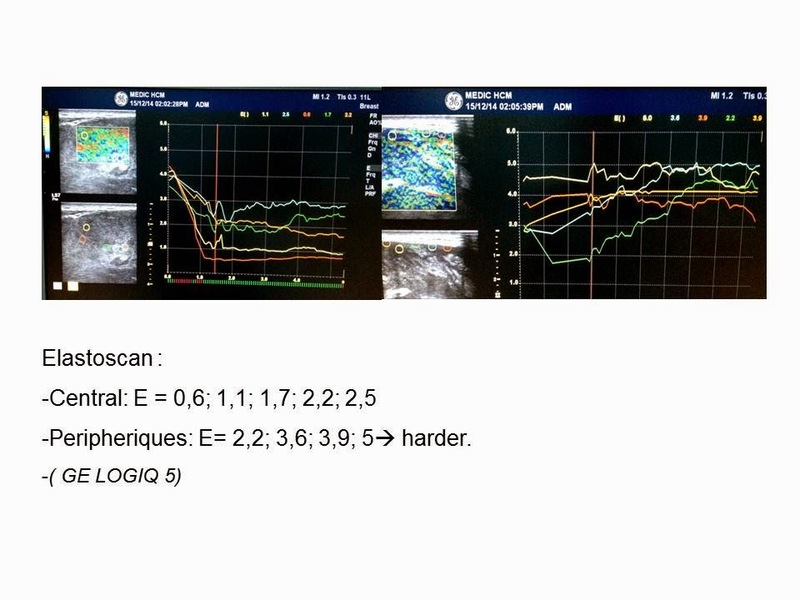 Conclusion: Emergency case with ultrasound first choice for diagnosis, conventional x-rays also can help patient but CT is the best information for this case. 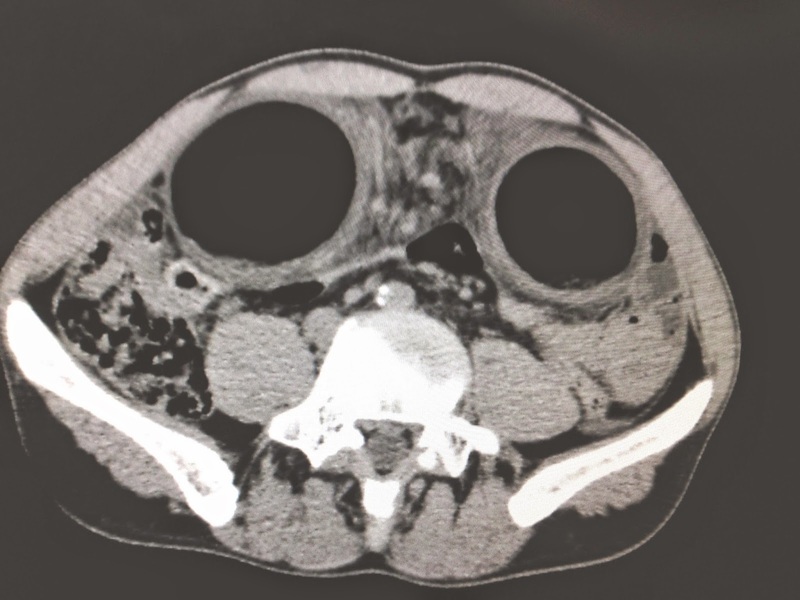 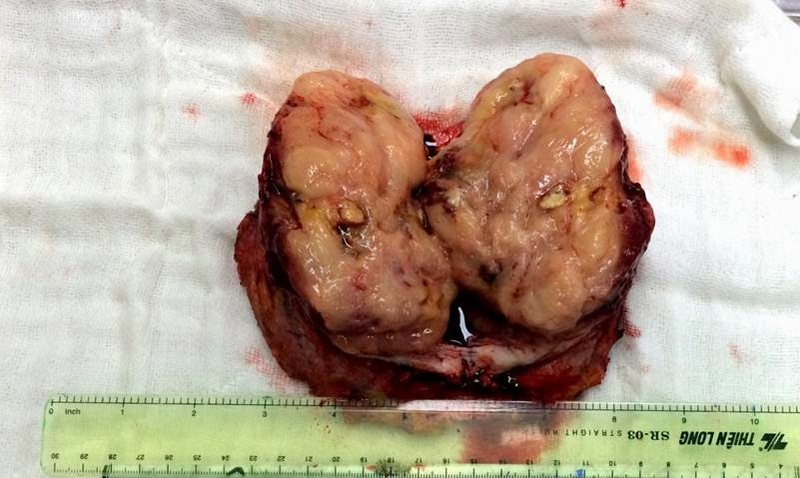 Woman 30 yo presented cervicalgia and swollen neck. 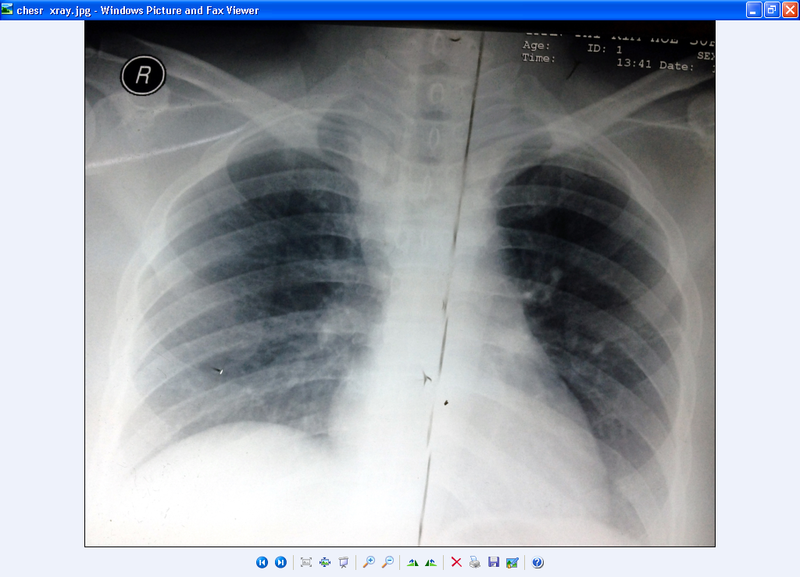 Chest Xrays: one mass at right of her neck. 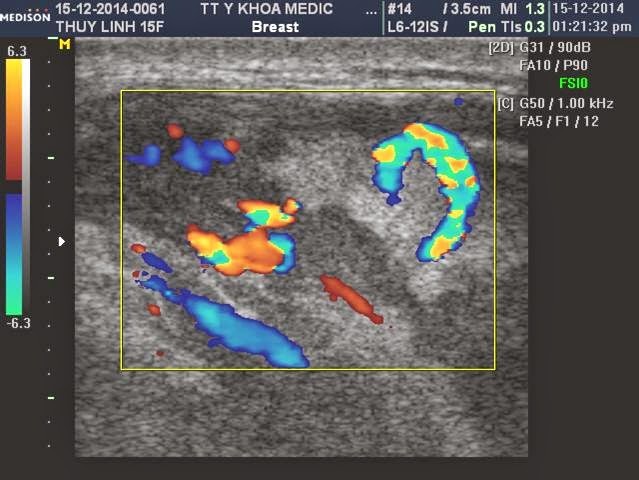 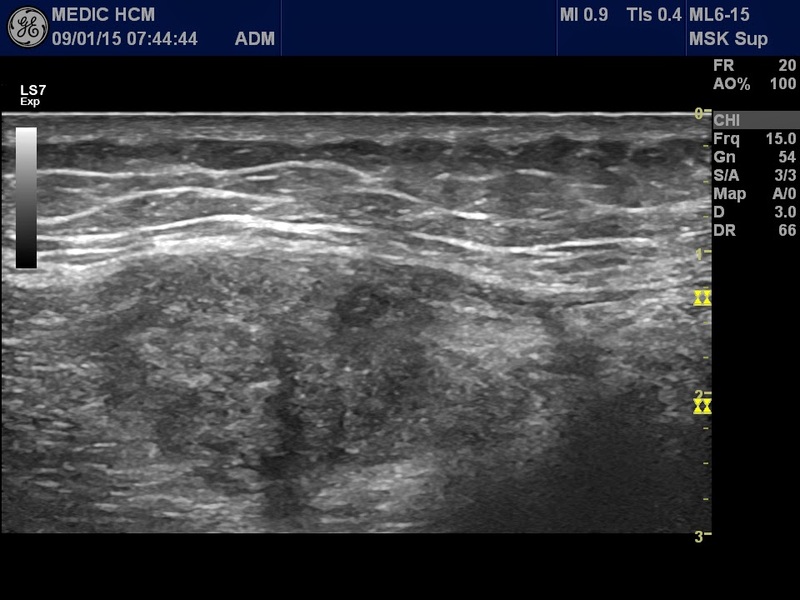 Ultrasound detected thyroid gland normal( US1), but retrothyroidal spaces both 2 sides had hypoechoic masses, no vessels intra mass which were suspected abscesses ( see US 2:cross-section at lower part of the neck, and US 3:longitudinal scanning of the neck). 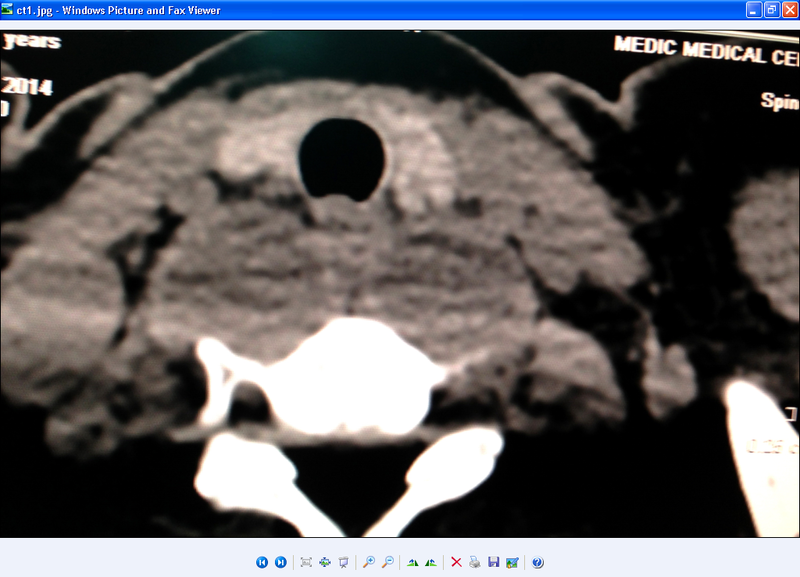 MSCT of the neck (CT1 image showing the normal thyroid gland and 2 mass at lateral cervical spine looked like abscess). 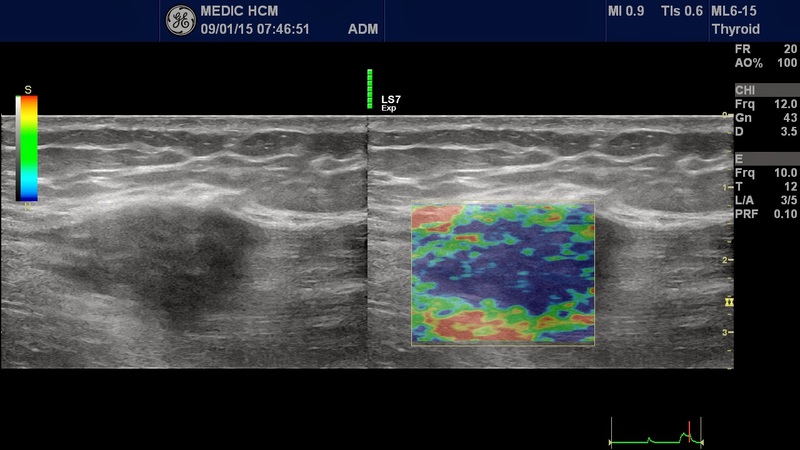 Frontal view and sagital view detected osteolytic lesions at thoracic spine T1. 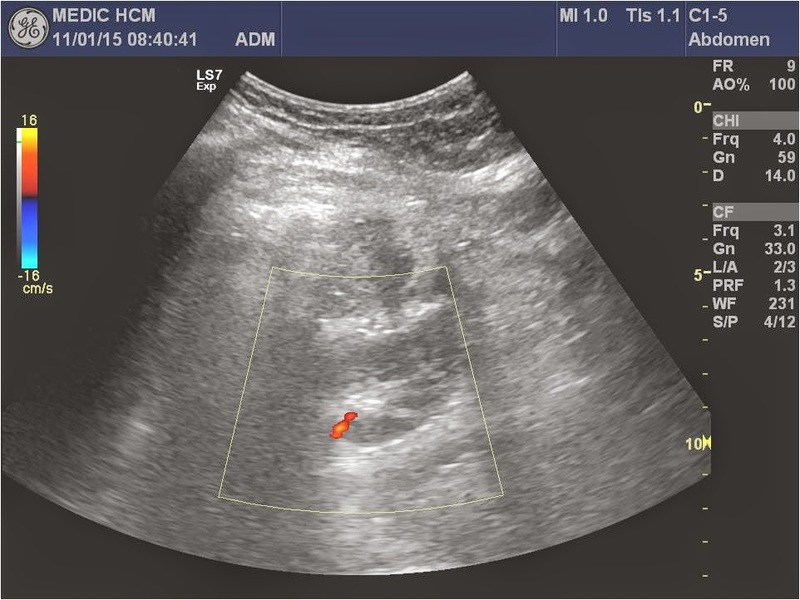 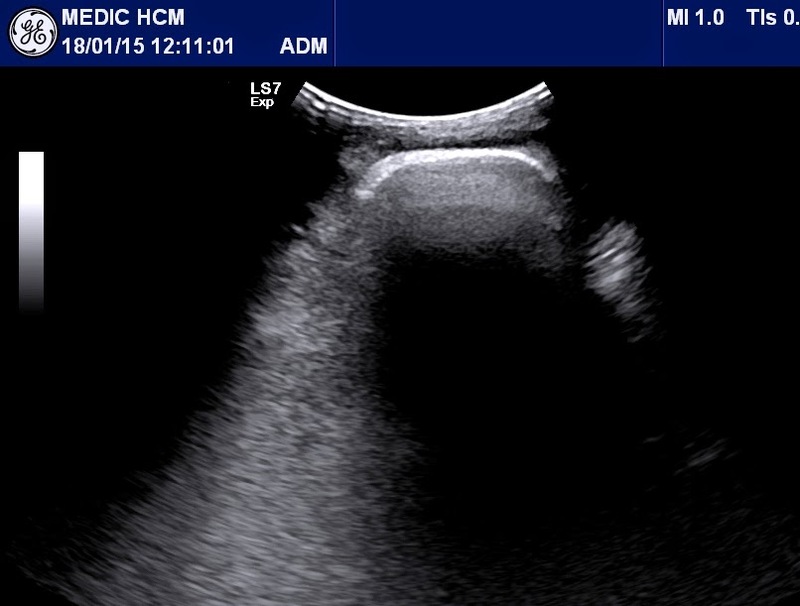 Ultrasound guided aspiration pus from abscess and detected BK positive in pus analysis. 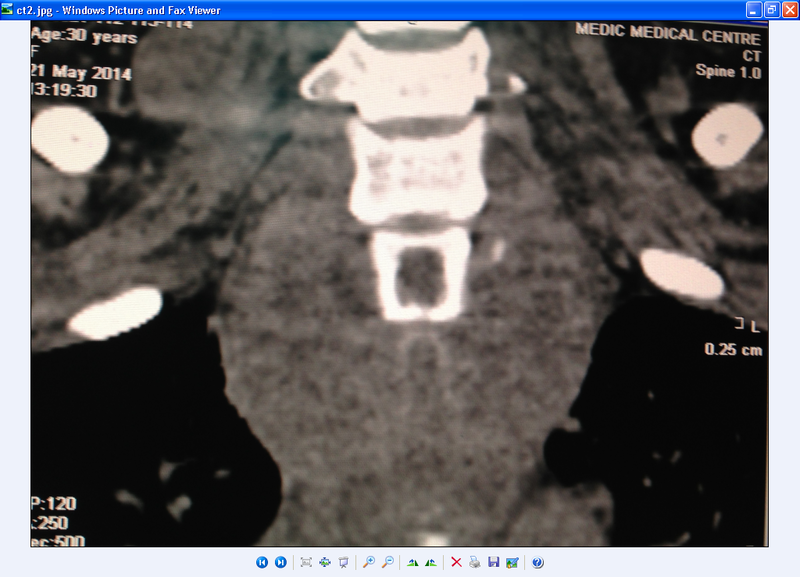 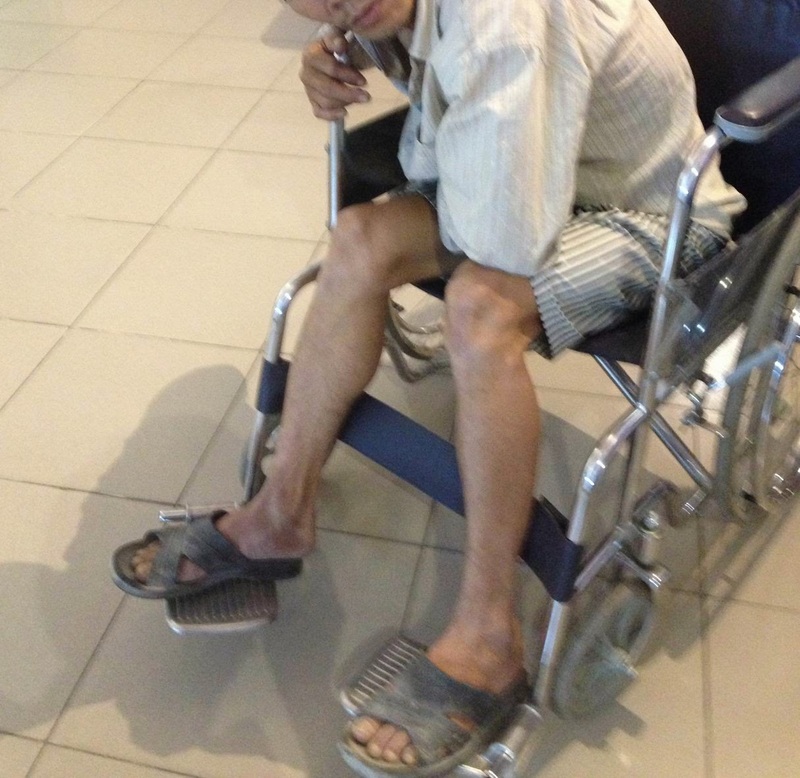 It was a POTT' abscess of the neck, due to T1 spine tuberculosis.